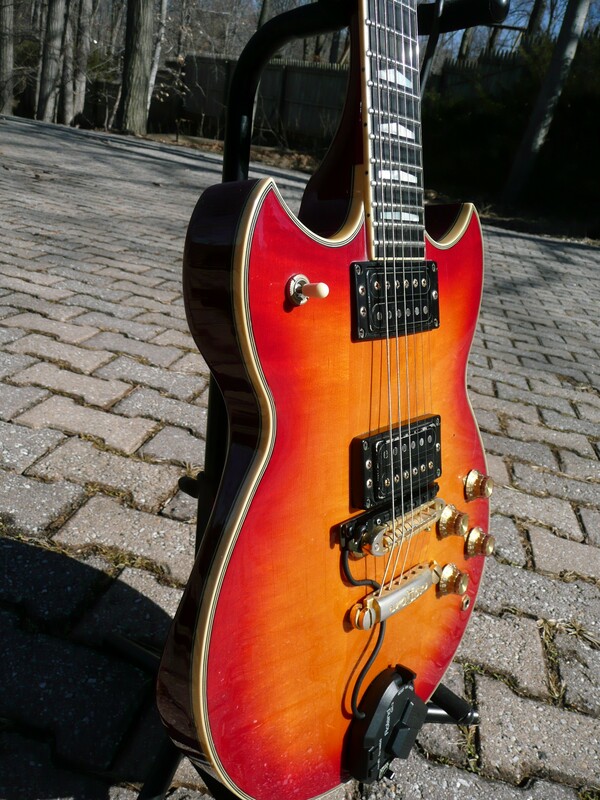 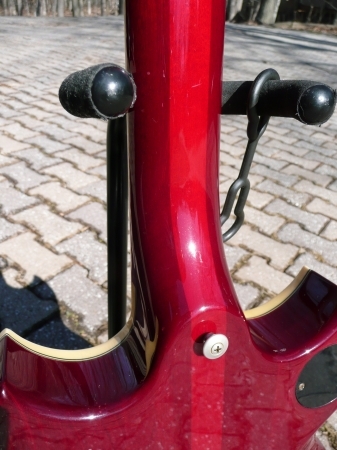 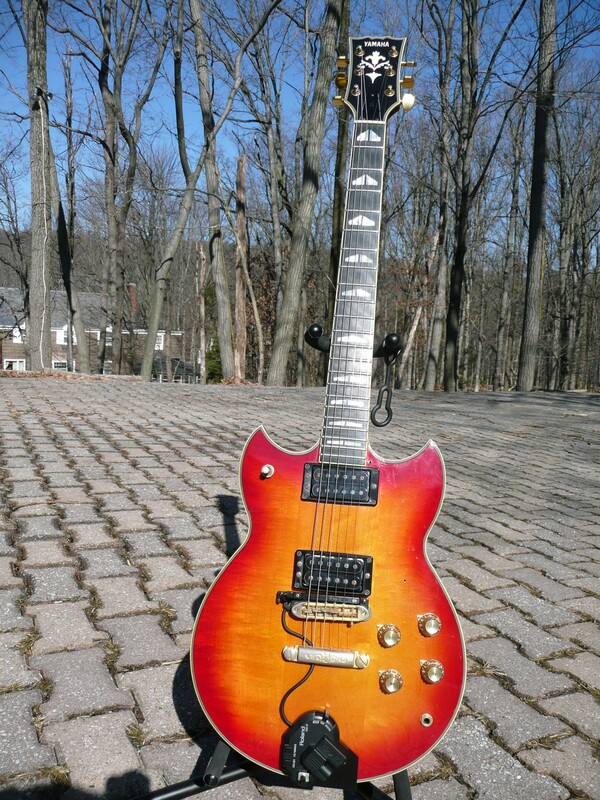 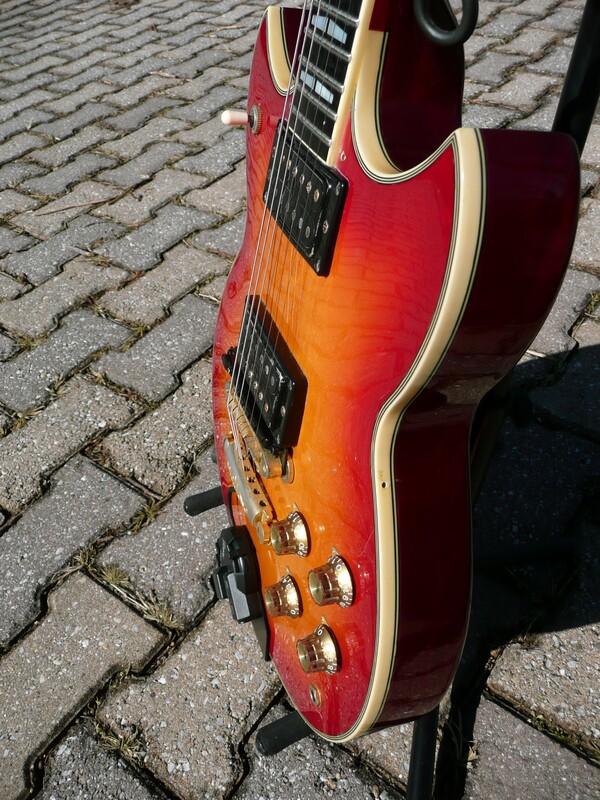 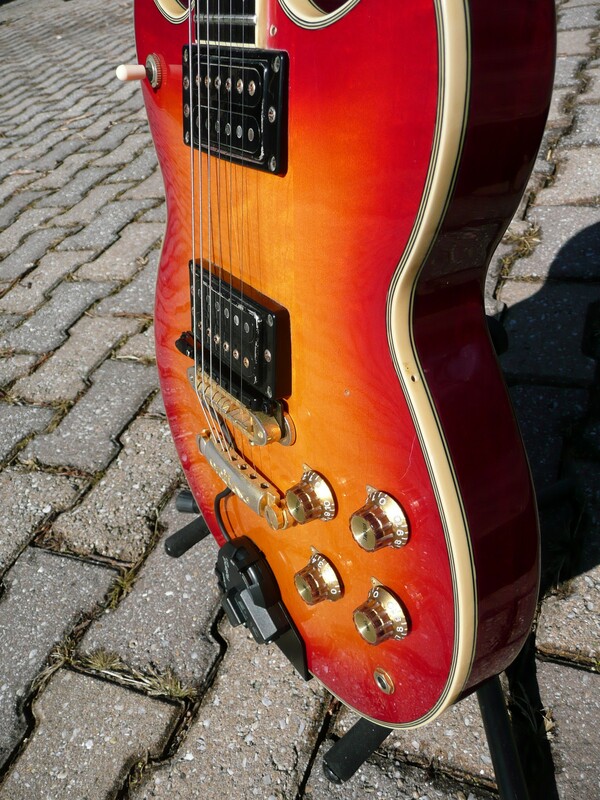 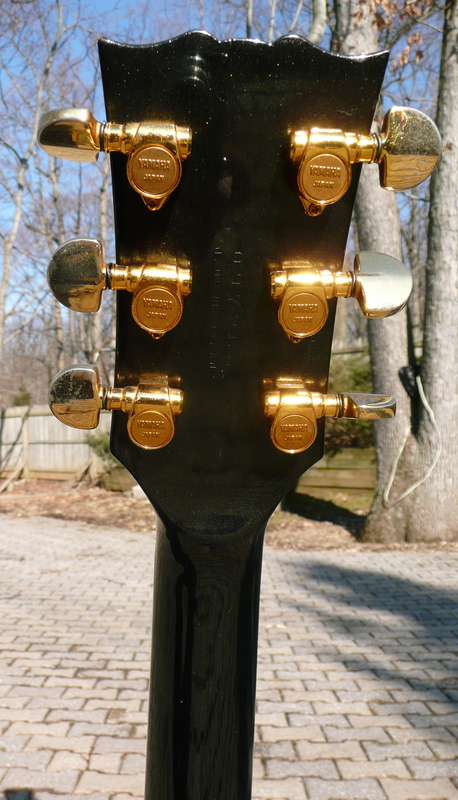 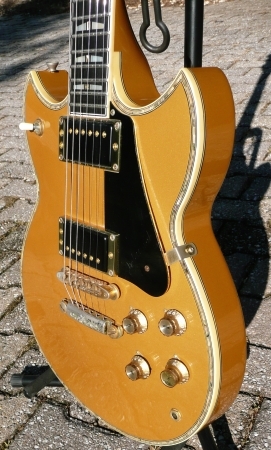 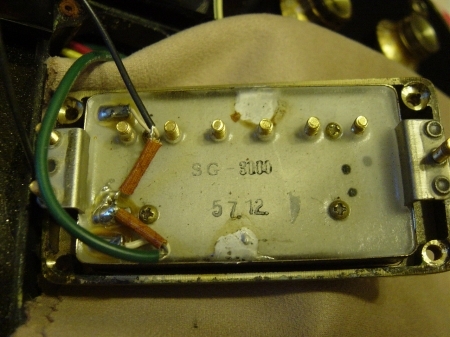 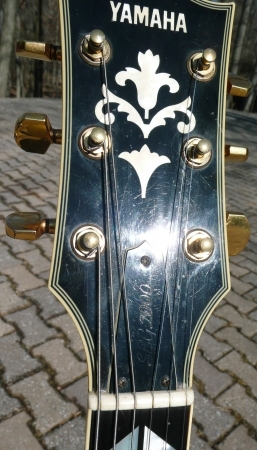 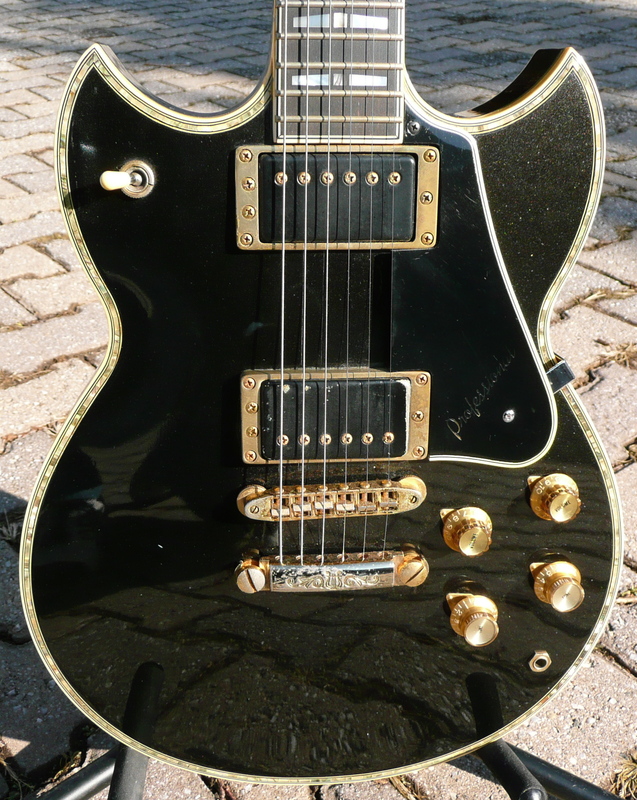 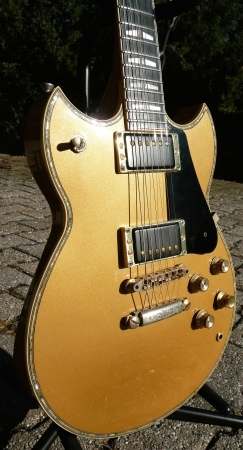 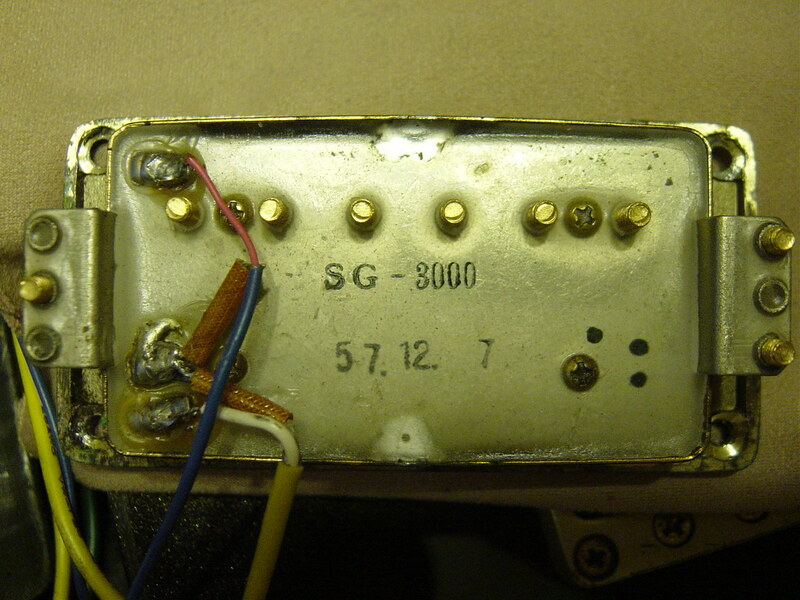 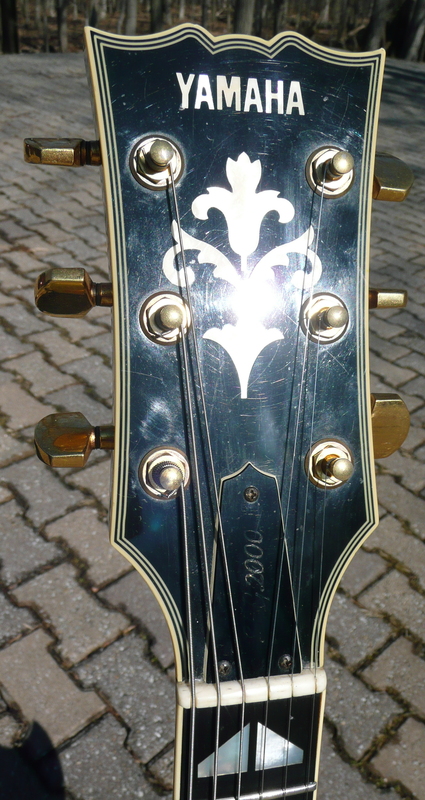 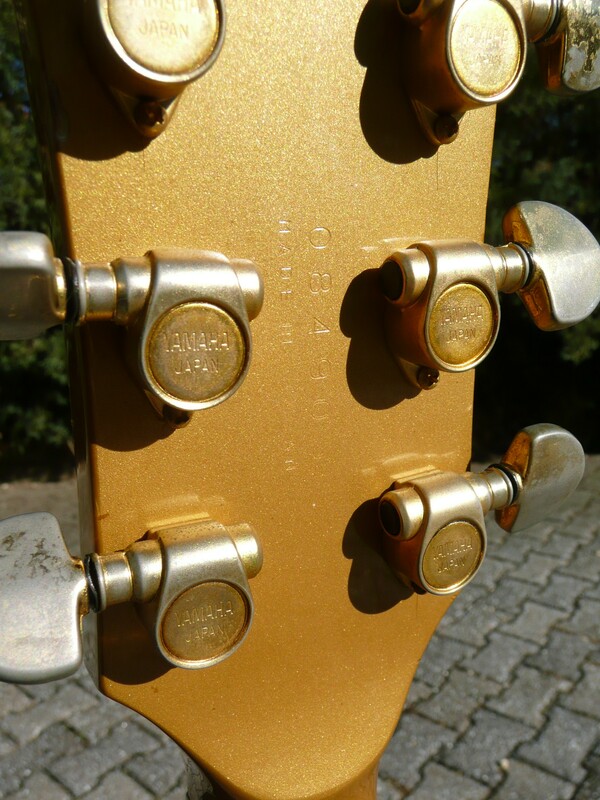 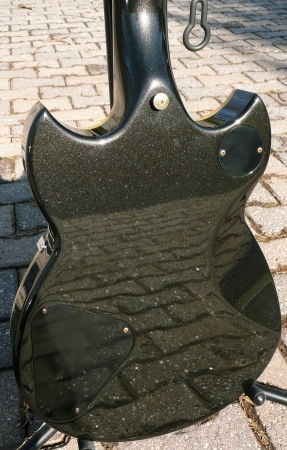 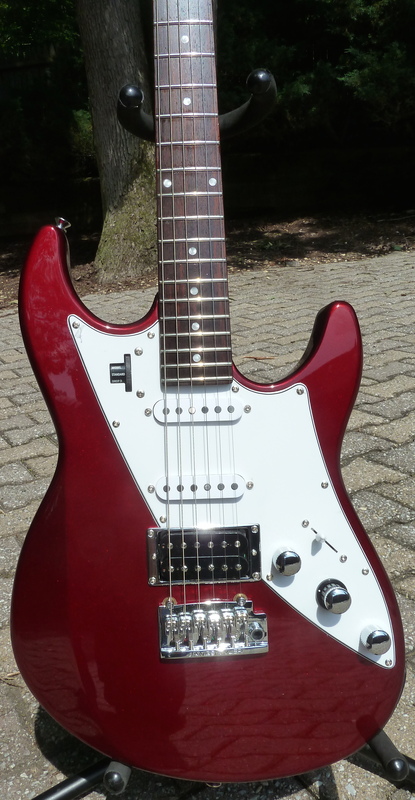 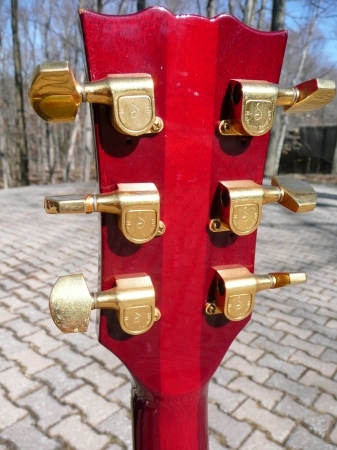 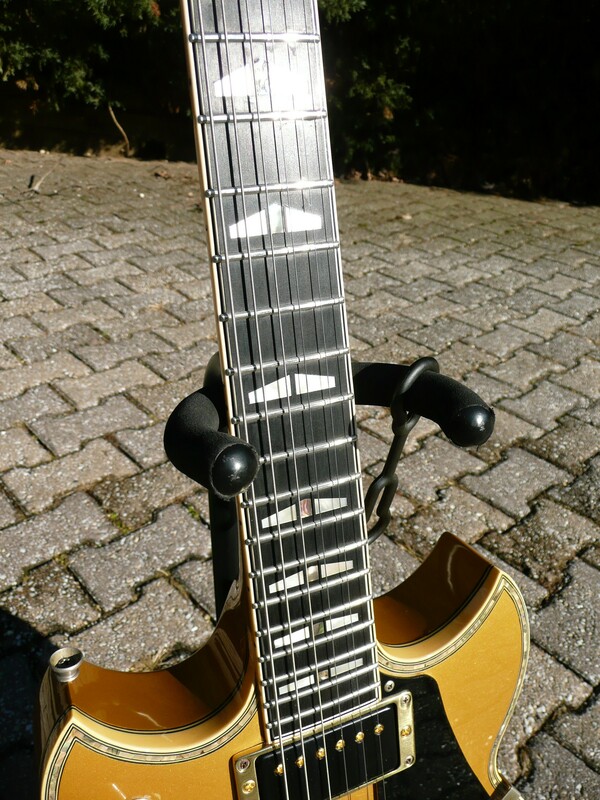 The Yamaha SG2000 differs from the 3000 in that it has a sustain block bridge (a piece of brass underneath to improve sustain), and doesn’t have as fancy of a binding. 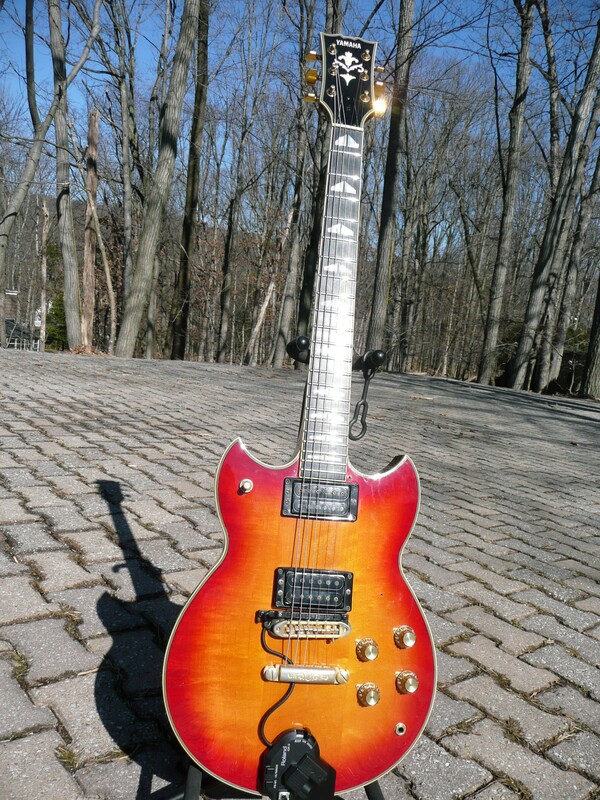 Very good condition and a steal at $1800. 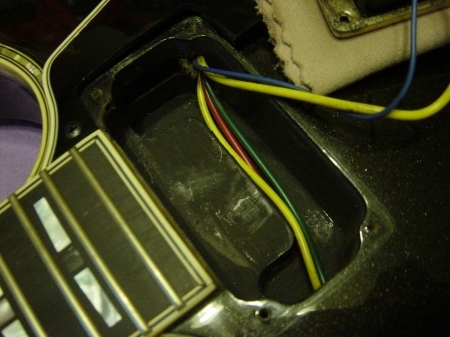 Note: The Midi pickup is no longer on the guitar, and the pick guard is back on. 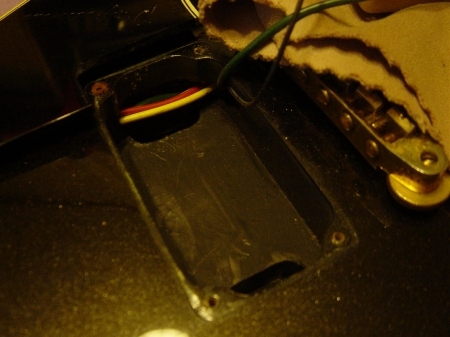 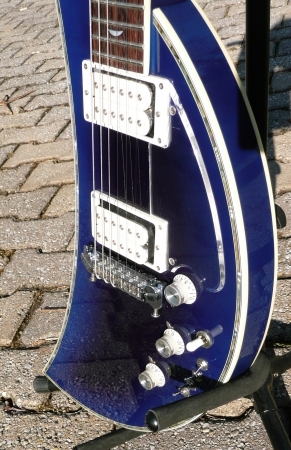 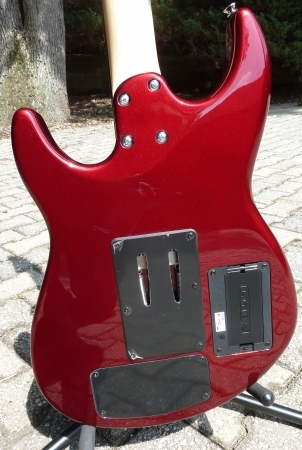 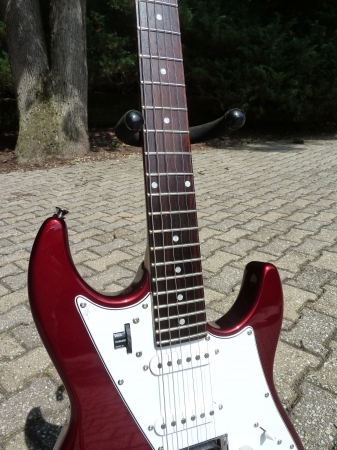 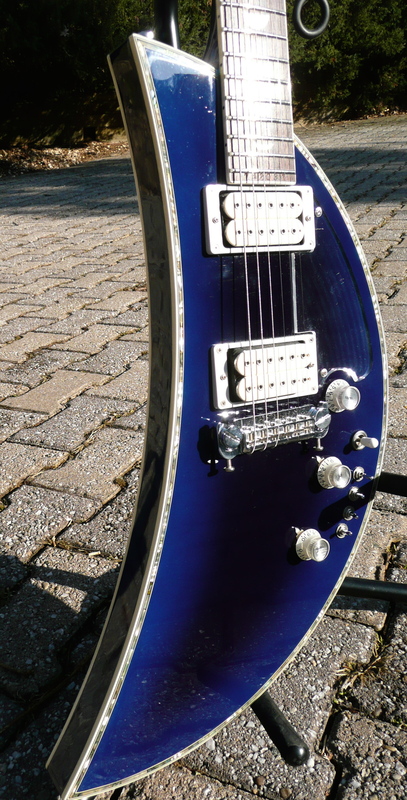 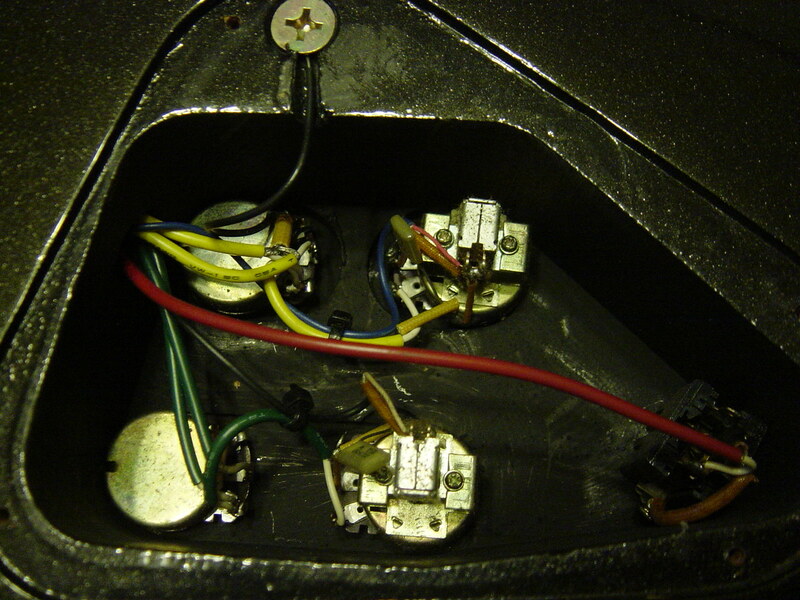 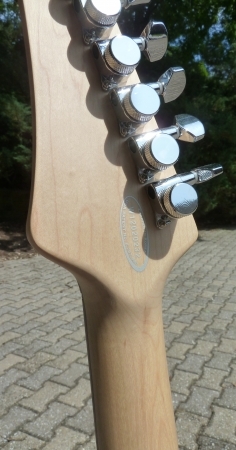 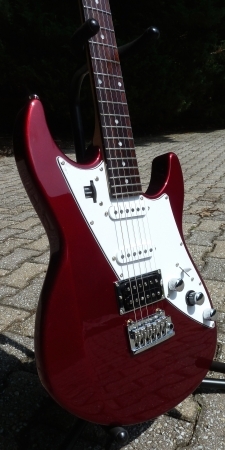 The Roland pickup did not require any modifications to the guitar, so the guitar is back to an all-original condition. Yamaha SGs are simply incredible instruments. 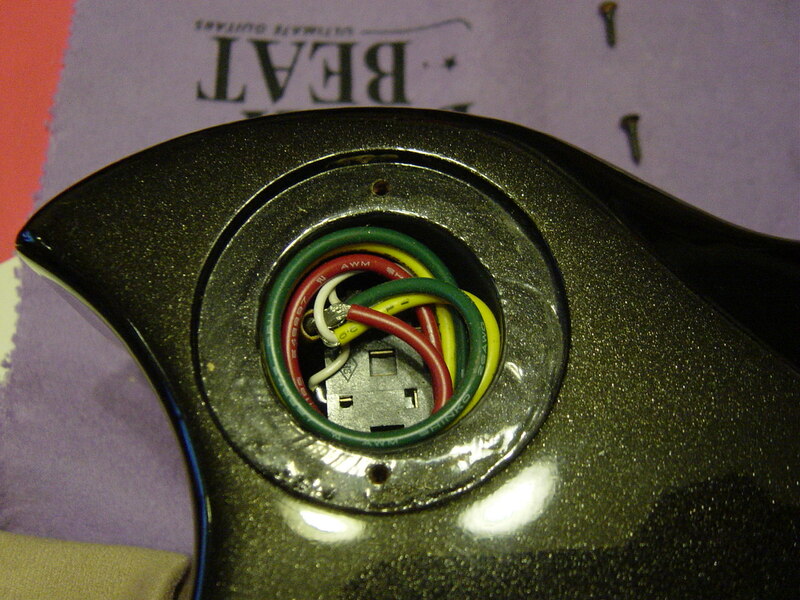 I’ve had 7, which is a bit of overkill, so I’m reducing the collection. 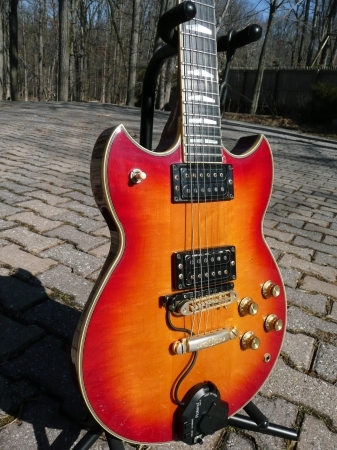 The Yamaha SG3000 and its twin the SBG3000 are simply one of the best guitars every built, period. 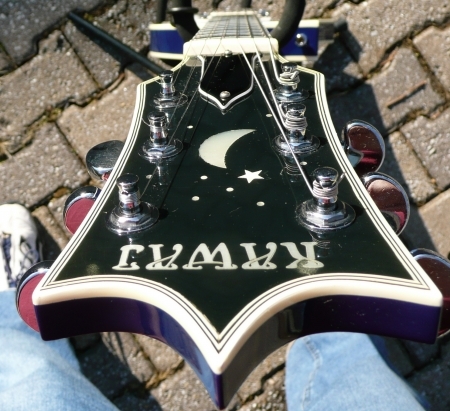 They were so expensive to make Yamaha lost money on them, but kept them in their line as a flagship. This one is in very good shape, all original except for the addition of an additional strap button. 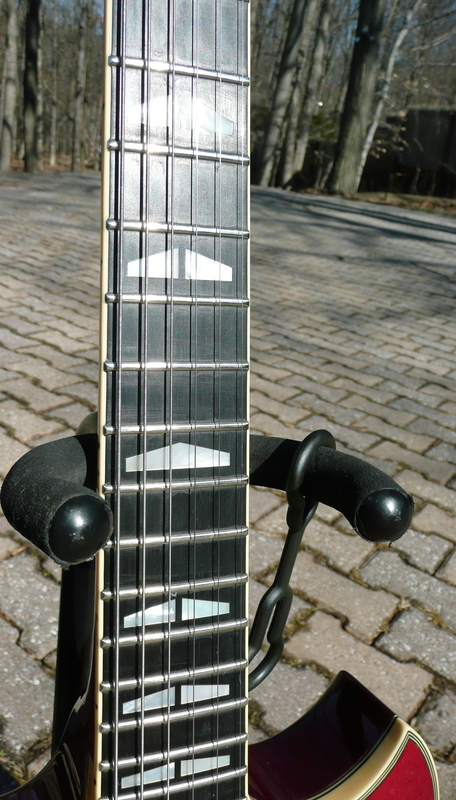 So, you can change the way the guitar balances to fit your needs by choosing one of the two strap buttons. 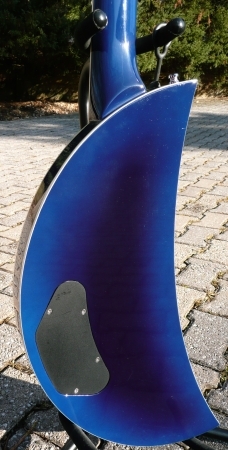 This is a pre-Fender Tacoma! 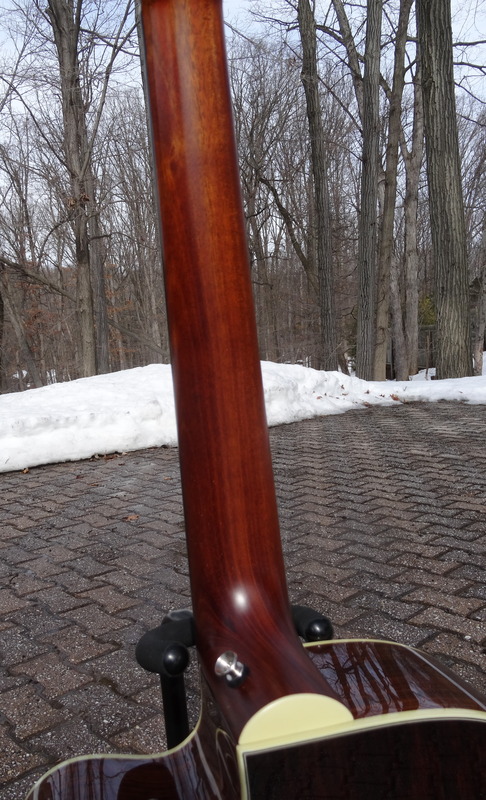 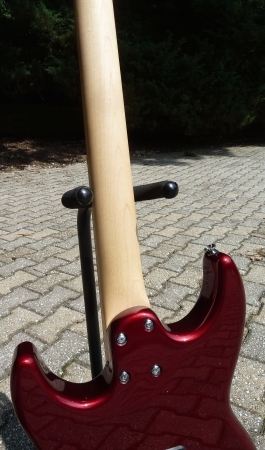 100% solid wood made in the USA, no laminates on a guitar of this level. 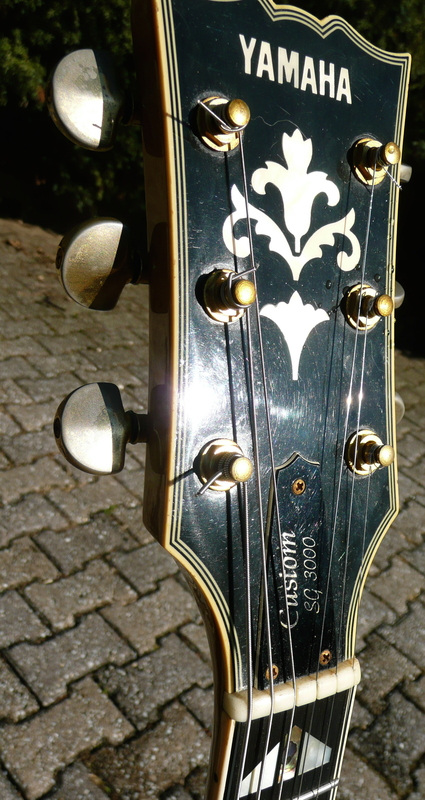 Tacoma owned thousands of acres and grew their own trees. 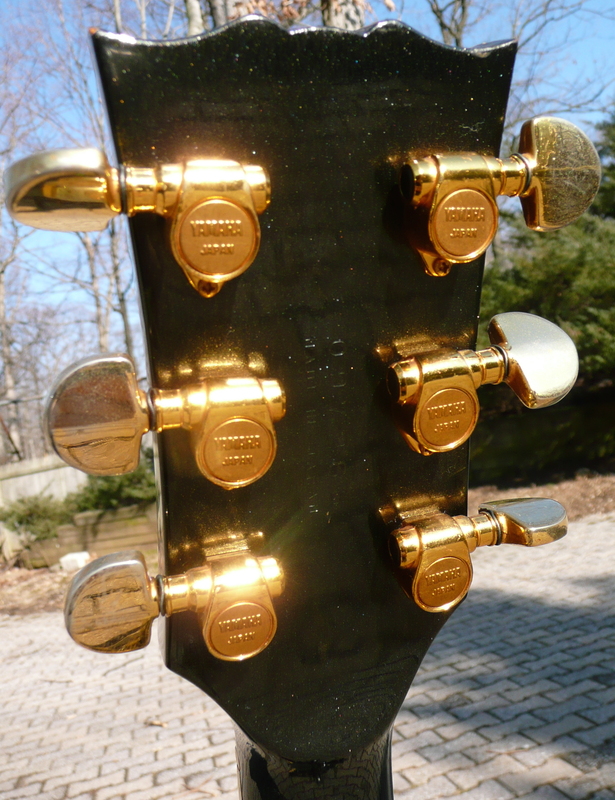 This gave them a HUGE advantage over Taylor and Martin which have to buy their lumber. Tacoma was able to produce a much higher quality guitar at a lower price because of this. 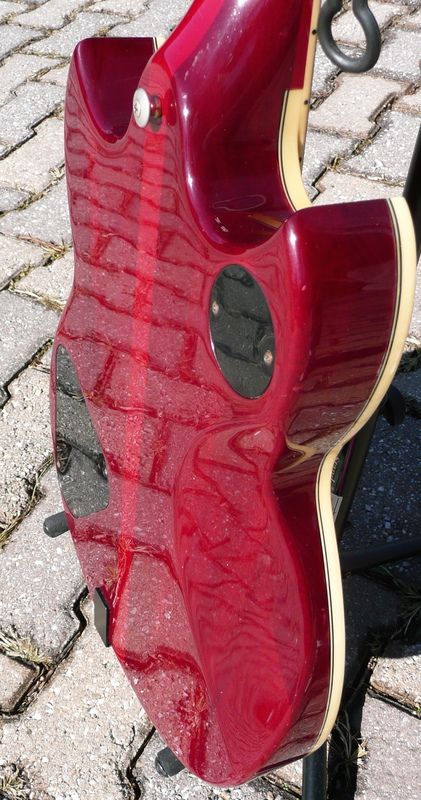 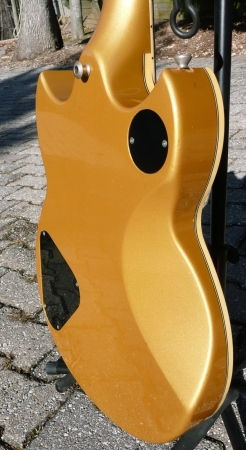 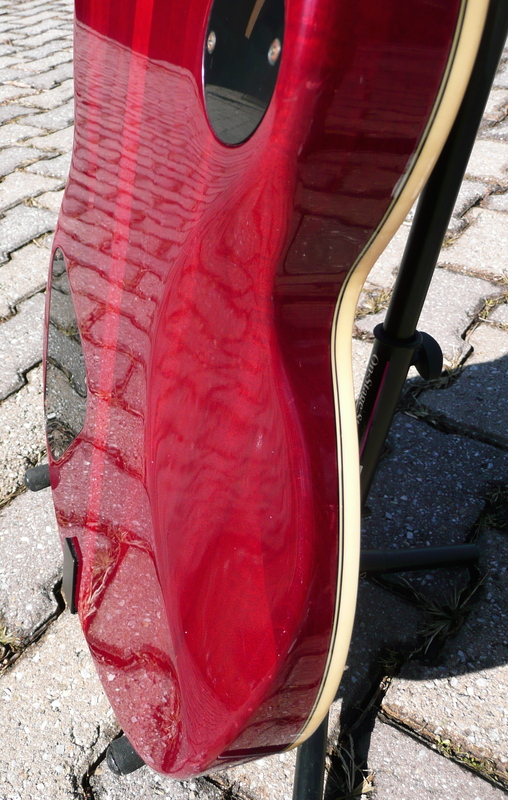 They grew to become the #3 acoustic guitar maker before being bought out by Fender. 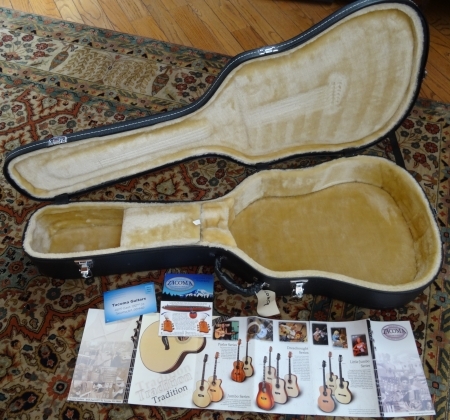 This guitar is a little Jumbo with LR Baggs Duet electronics. Near mint condition! 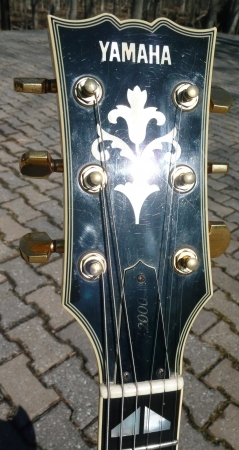 The body has 0 flaws, and the frets are 9.5/10 condition. 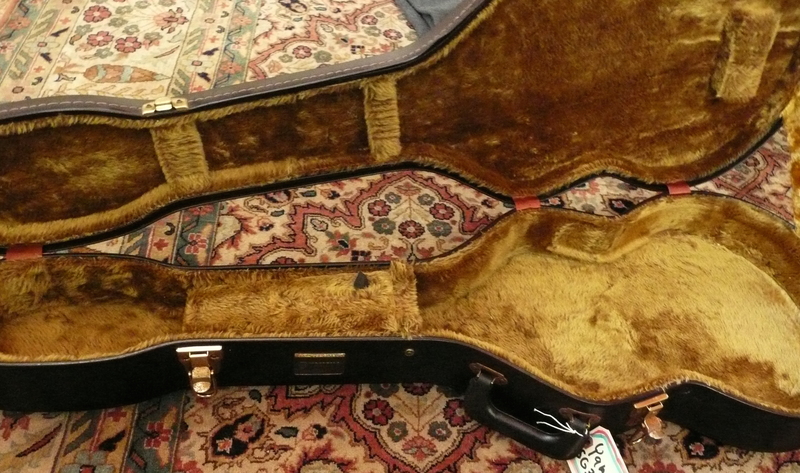 The case is super high quality and plush. 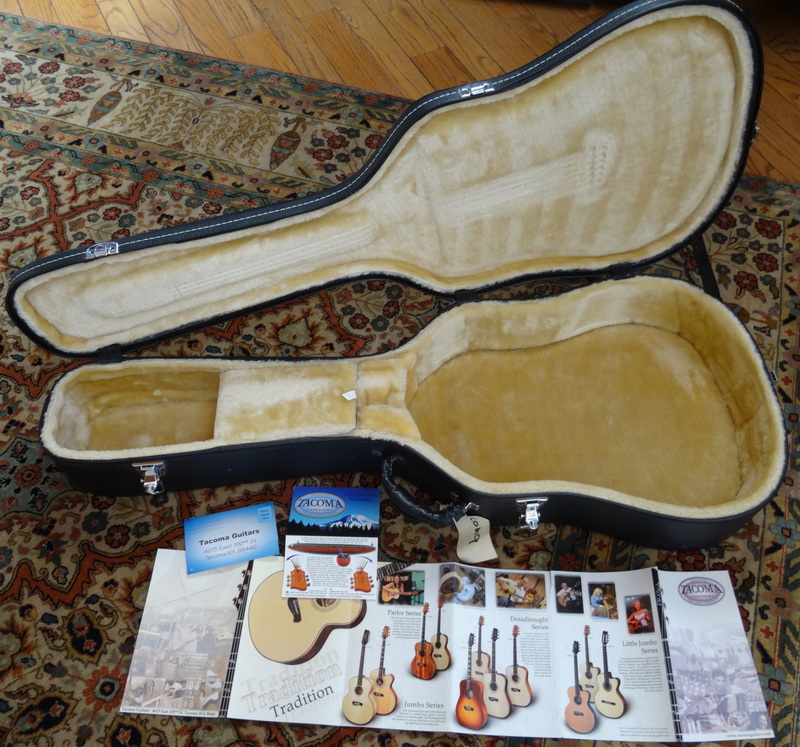 Also includes the Tacoma Warranty Card (Lifetime Warranty!, honored by Fender) and the Tacoma catalog from that year. Warm, articulate, responds immaculately to finger picking or hard strumming. 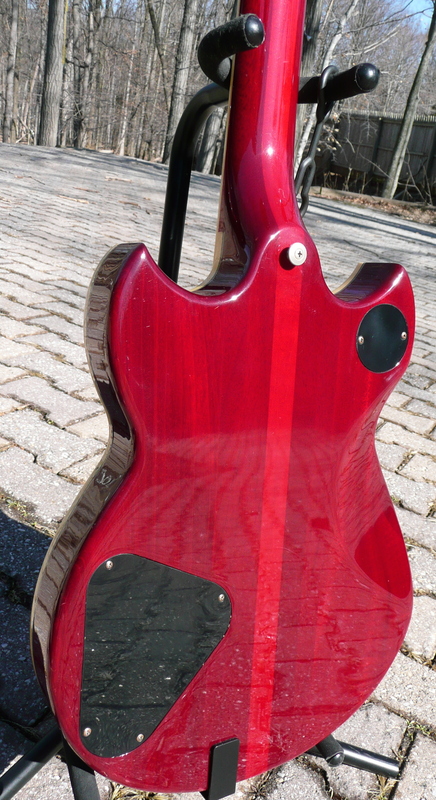 Projects well and balanced throughout the spectrum. 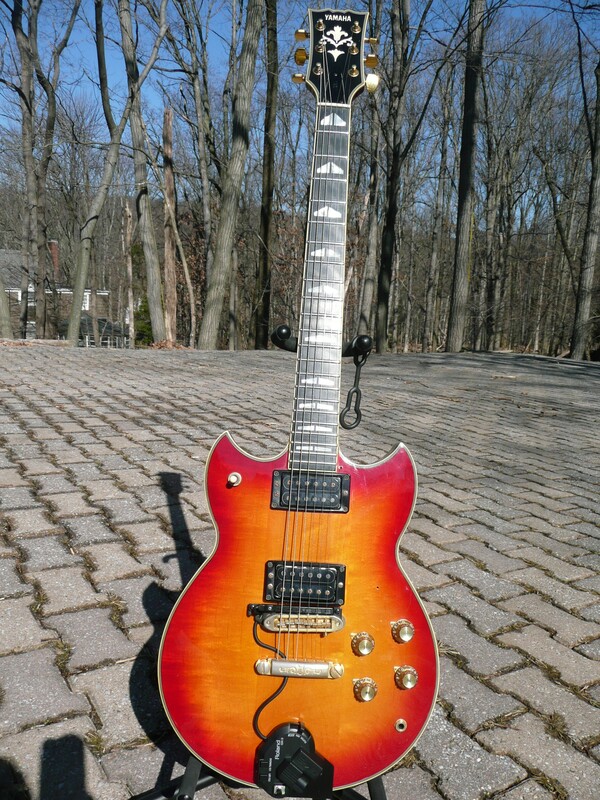 I haven’t heard a guitar under $2500 that can compete. 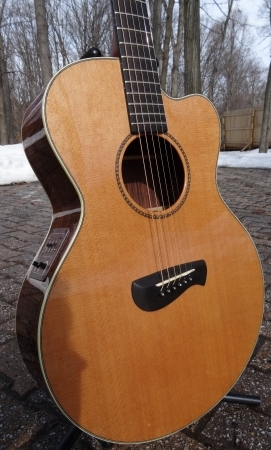 Solid rosewood back & sides, 4 1/8″ body depth, solid cedar top w/4 color wood rosette, venetian style cutaway, 15 5/8″ lower bout, 20 fret ebony fingerboard w/1 3/4″ nut, ebony bridge, ivoroid body binding & inlaid headstock logo, black tuning machines, gloss finish. Designed by Tacoma & Laurence Juber.